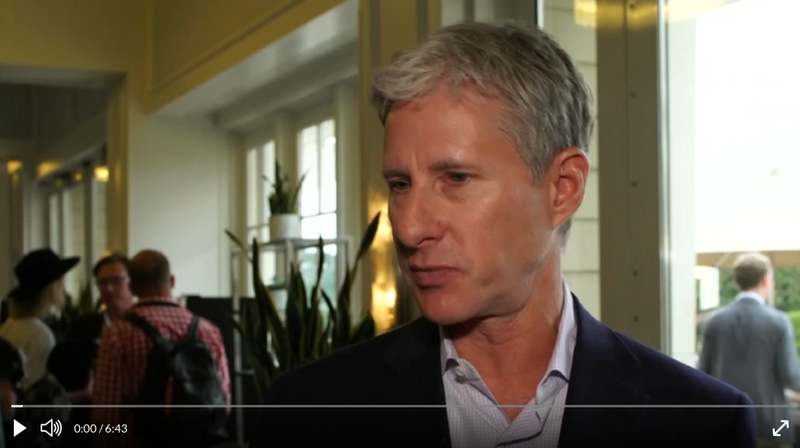 The co-founder and executive chairman of Ripple, Chris Larsen, is revealing his vision for crypto’s path into the mainstream. At the Crypto Finance Conference in Half Moon Bay, California, Larsen told Cheddar cross-border payments will prove to be the killer app for crypto and blockchain. “We’ve been doing this now, focusing on cross-border payments for enterprise for four years-plus. So it’s good to see people finally realizing ‘yes’, this is the area that’s going to have the highest impact. We think this really is the killer app for this whole blockchain movement. Larsen also offered his take on a series of lawsuits against Ripple alleging XRP is a security controlled and issued by the company. “I think what’s really important is that any digital asset to be valuable has to be serving an actual use case. It can’t just be speculation. Obviously a lot of the market today is really speculative. But we think over the long run it’s going to be that combination of deep liquidity, market makers, institutional bets being made. But very importantly, it has to have a use case. According to Larsen, questions about the centralization of XRP and the fact that the cryptocurrency is pre-mined are part of a “religious war” and an effort to create fear, uncertainty and doubt. “I think this comes from the Bitcoin community, the Ethereum community. There’s a religious war going on between platforms, and that whole idea around centralization is bogus. Please look – it’s an open-source system. It’s permissionless. You’ve got 140 public validators. Ripple has like 7%, the company, of those. Billions Worth of XRP Transferred in Seconds, Fees Less Than a Penny – Is Ripple the Big Fish? The post Ripple Co-Founder Chris Larsen on Crypto’s Killer App and the Future of XRP appeared first on The Daily Hodl.